Car tires have an expiry date; they certainly don’t last forever. After a while, the friction from driving takes its toll, and you need to change your car tires. 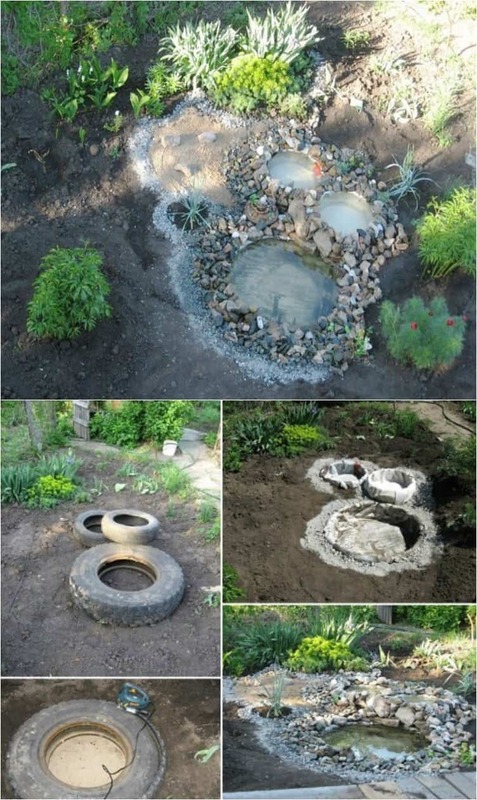 So, what to do with the old tires? You can throw them away. Or, you can repurpose them. I recommend the latter, and I do have some genius ideas for what you can do with them! Perfect for outdoor parties. Or for just relaxing in the backyard. Some people like to use an ottoman for seating, while others use it as a mini table. Whichever you prefer. An old tire can be turned into an entertainment tool with the right idea—like this one. 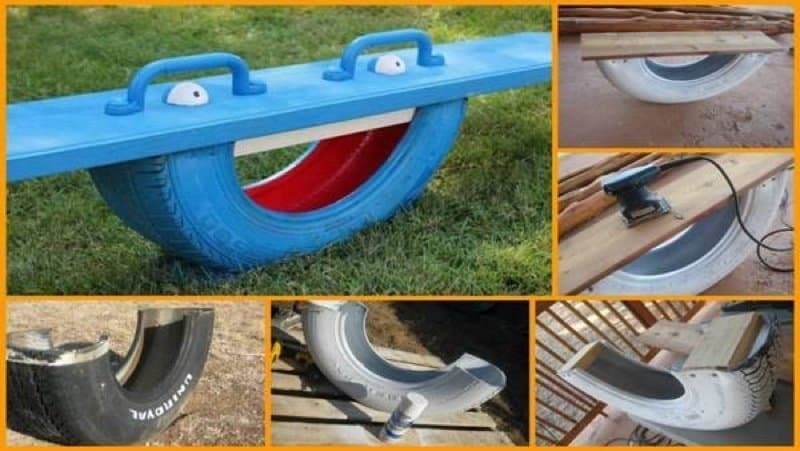 Of course, you can’t use the seesaw for adults, but I’m sure your kids will love it. And you can even call on them to help. Don’t expect much of them, but they can certainly choose the color they like! And since they’re part of the project, they’ll love it even more. Another seating option, and one that’s better suited for the inside of the home. Again, I leave the colors to your preference. 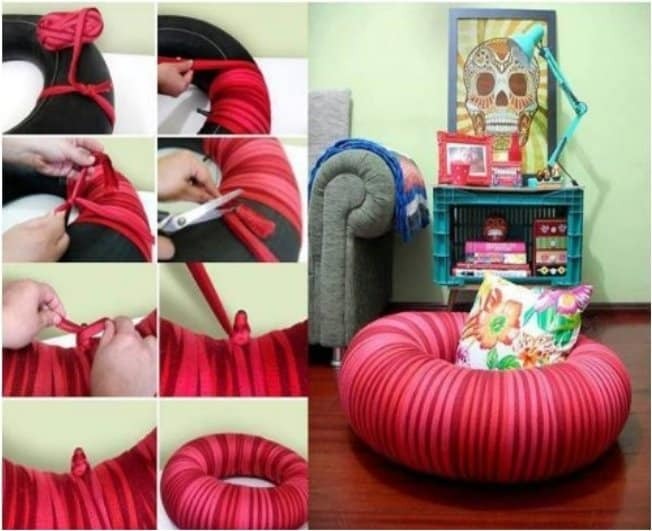 The pillow is an extra touch that makes the seating even more comfortable. 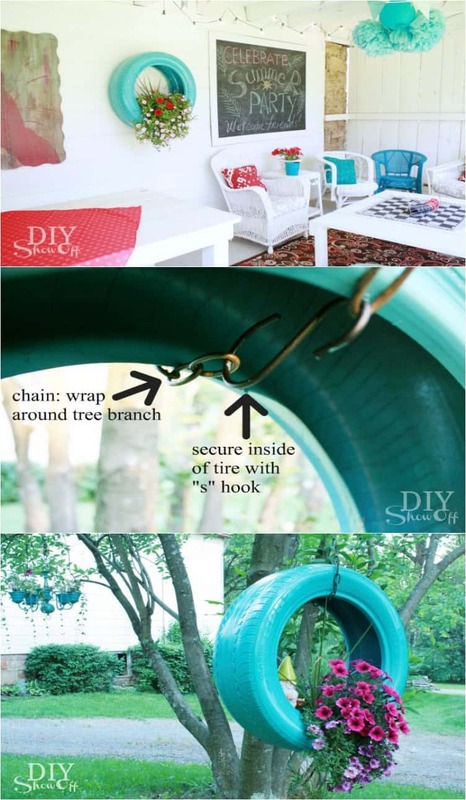 Another interesting idea you can make for your kids. 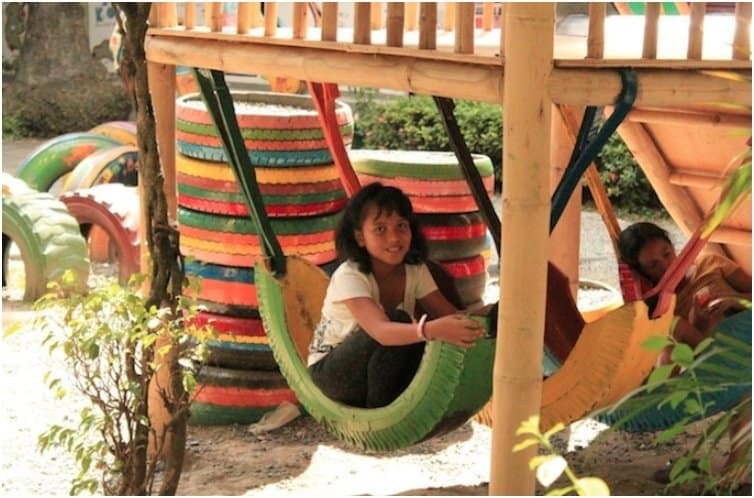 They love sandbox playgrounds, and now you can have one in your backyard. Even better, you have it in a controlled and safe environment. I have to warn you though, sand can get out of the box. I told you at the beginning that an ottoman can serve many purposes. And now I want to help you take it to the next level. 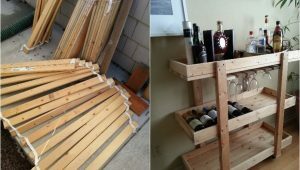 You can create your very own multifunctional furniture from scratch. Eat that, IKEA! Playgrounds are filled with car tires nowadays. 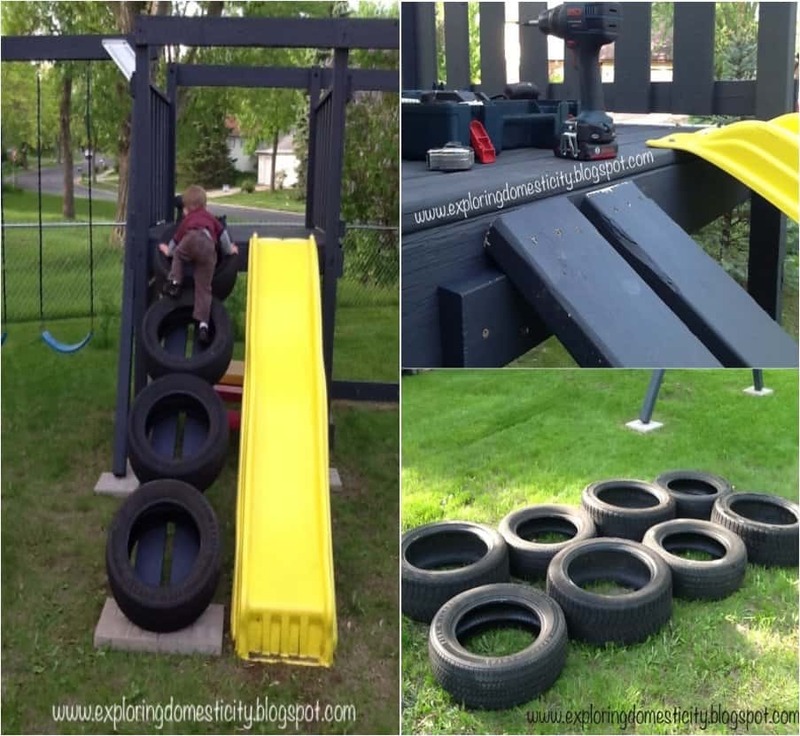 You can create so many games with tires, and the swing is just the start. If you let your imagination fly, the sky is the limit. For starters, I have one idea that will make your kid’s playtime fun and entertaining. So far, most of the ideas for car tires were for entertaining purposes. But now it might be time to get into the functional and practical usage of car tires. Like this hose caddy, for example. 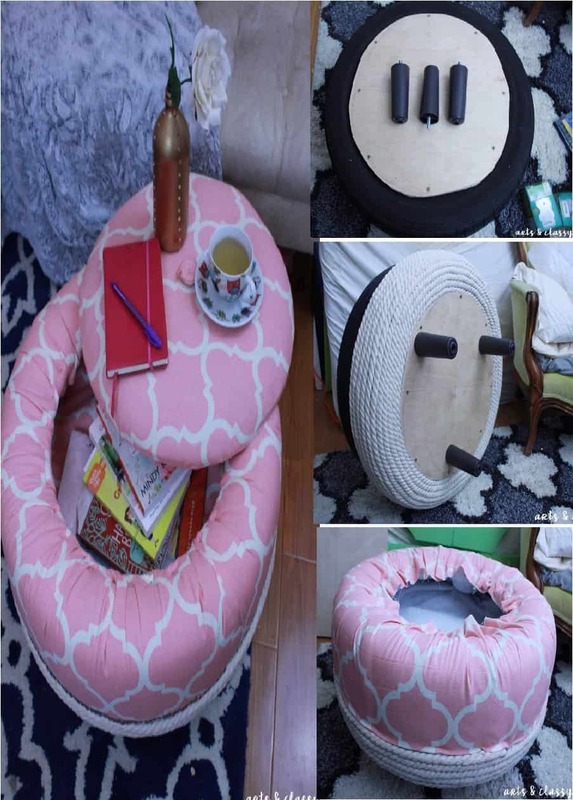 Perfect for taking care of clutter. Speaking of practical uses and taking care of clutter, let’s move into the kids’ room. So many toys flying around can sure get messy! But not anymore. 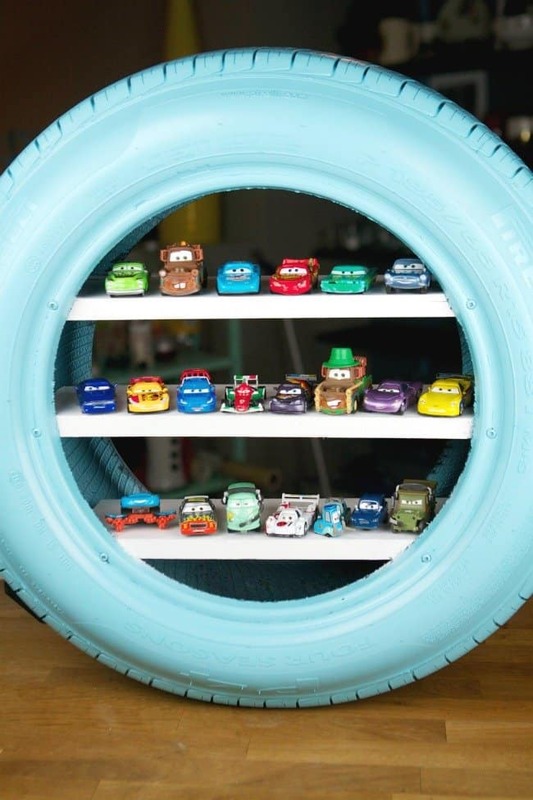 With these tire shelves, your kids can play and have their toys organized afterwards. You can even ask them what color they want you to paint their shelves. 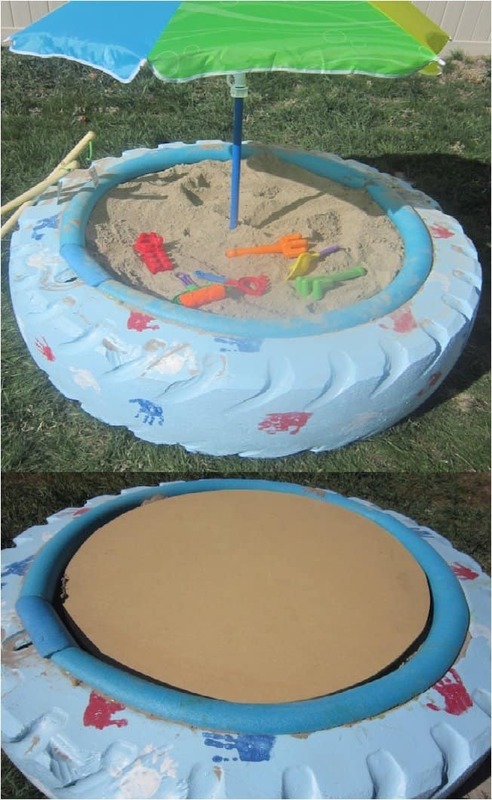 This is probably one of the most common uses for old car tires. And one I’ve tried before. My friend actually gave me this idea several years ago. She asked if I had any old tires she could use, and when I asked her why, she told me about this idea. So, there you go! One thing I have to note: this works only for small- and medium-sized dog breeds. As you can guess, large dogs might not fit in. But if you have a small- or medium-sized dog, you don’t need to buy a bed from the store. 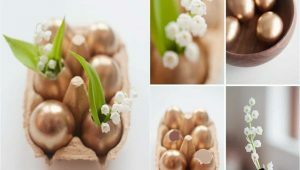 You can easily make one of your own and save some money. 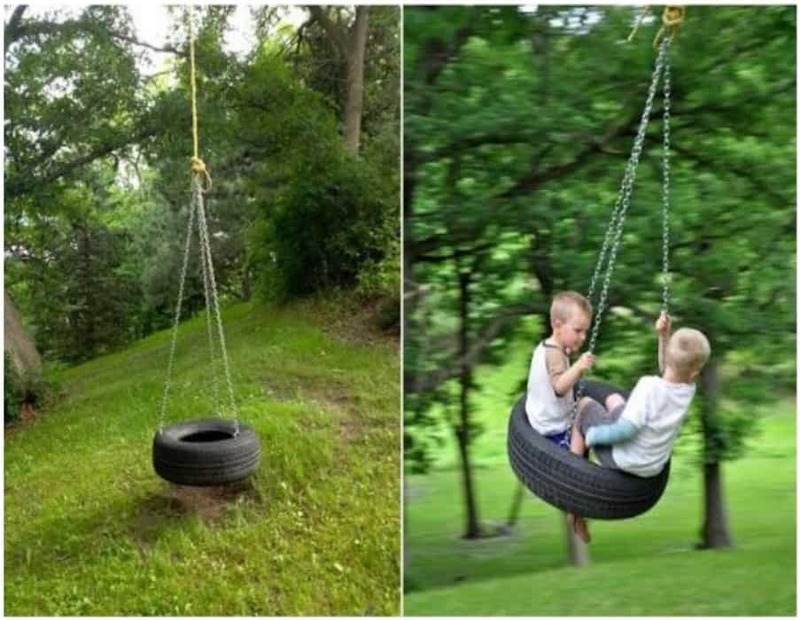 I truly believe most of you tried a tire swing when you were kids. I know I did, and I had a blast. There’s something special in a tire swing. Maybe it’s the rush of adrenaline. Maybe it’s the risk of falling down. But the fun is real. If you are into gardening, you can take the planter idea to the next level. 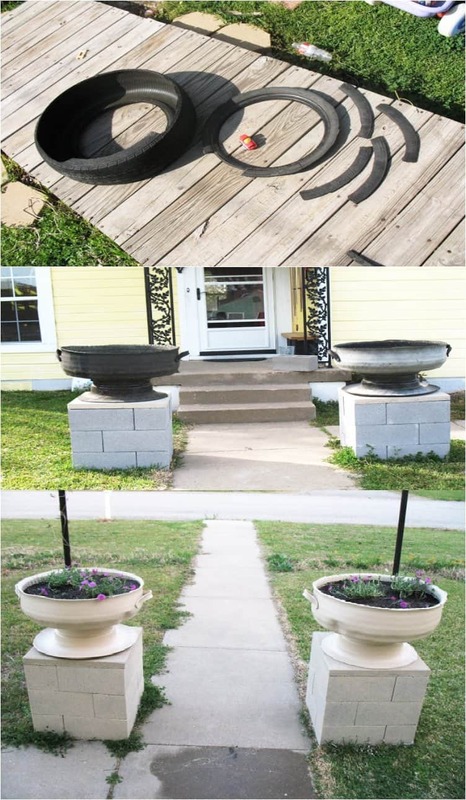 Not one, but several tires can be turned into planters. And I love the idea of different colors. Sort of like a rainbow. 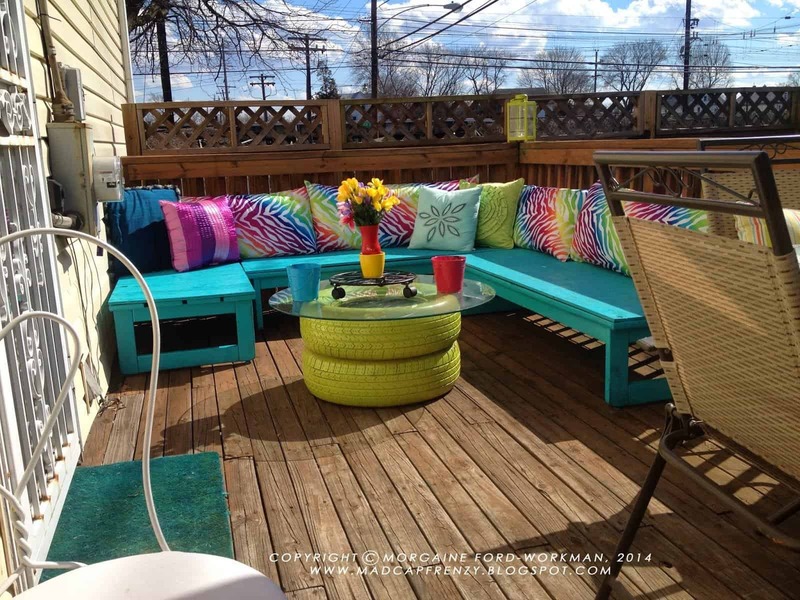 Your backyard will definitely look much more beautiful. 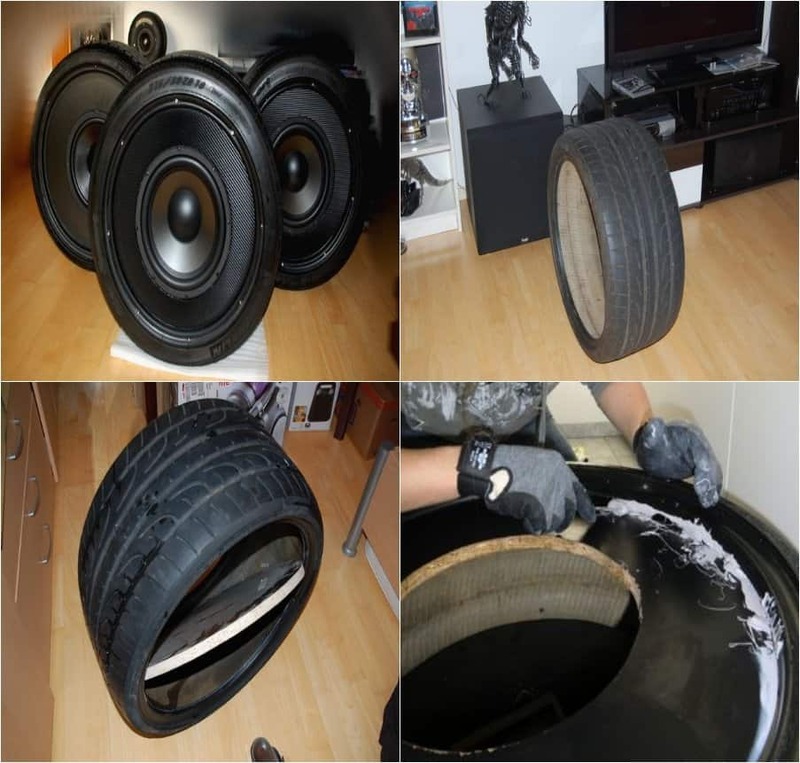 A subwoofer is the perfect example of the versatility of old car tires. 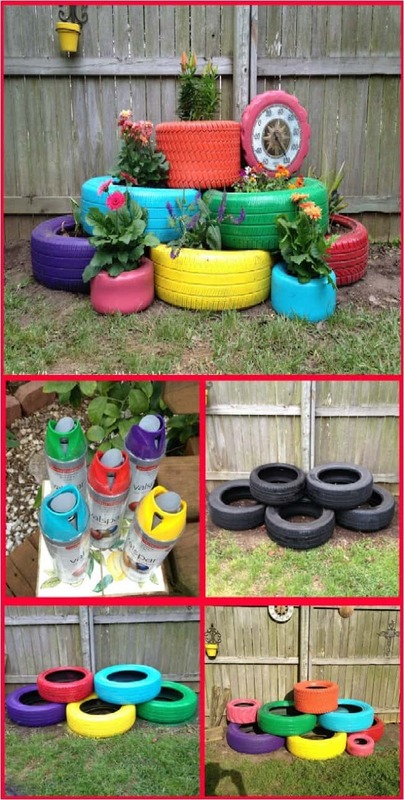 So far, we used tires for furniture, for gardening, and for entertainment for kids. But who would’ve thought that we could use them in the music industry as well? Lucky for you, I always have some unique and out of the box ideas! We had a kids’ shelf for toys. Now, it’s time to use the tire shelves for adults. 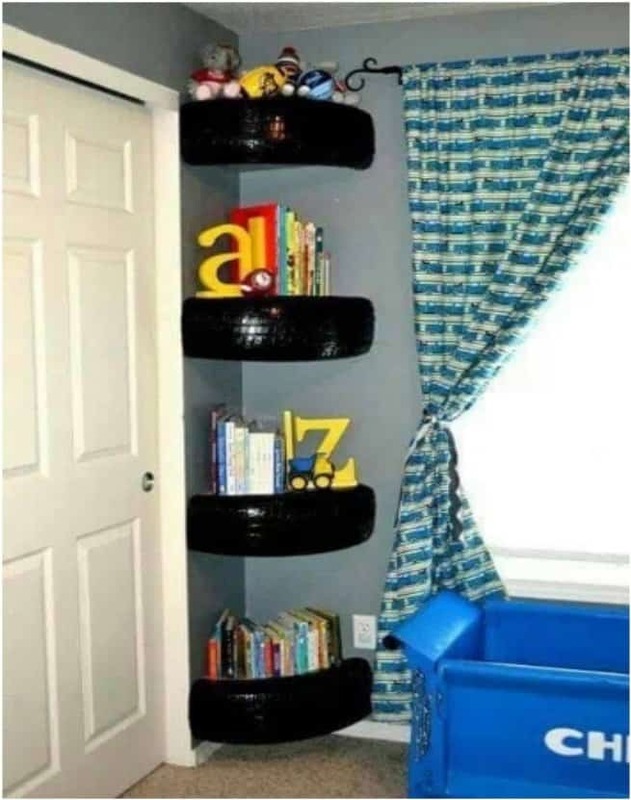 Because of their round shape, tires are perfect for corner shelves. And we all know corner shelves are great for adding extra storage in your home. 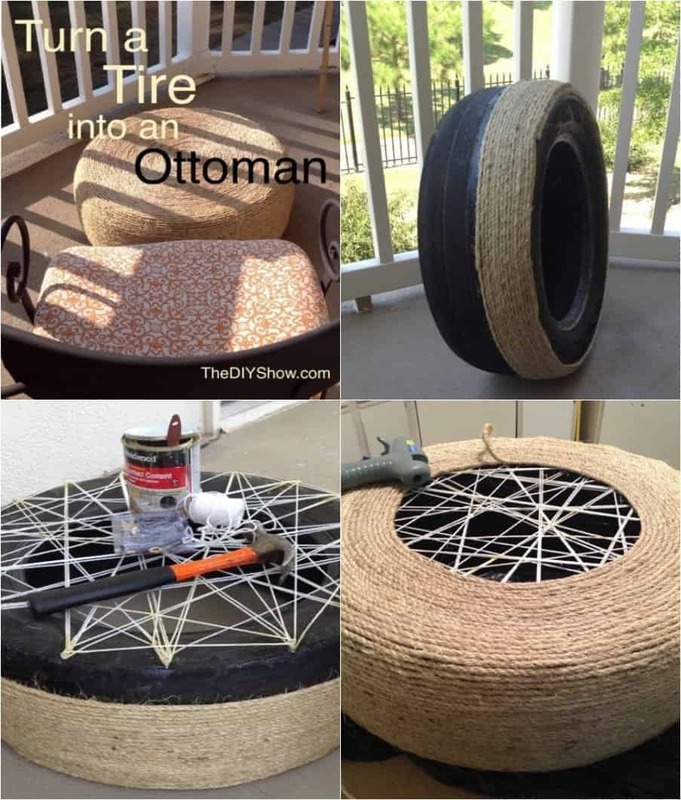 Be it the living room or the kitchen, the tires will certainly find a role in your home. When people think of hammocks, they rarely think of car tires. But as you can see, tires can turn into great hammocks. Kids in Zambia and Azerbaijan have to find a way to party. And who is to say this idea isn’t applicable to all parts of the world! We had simple tire planters, we had a tiered garden planter, and now it’s time for a floating planter. 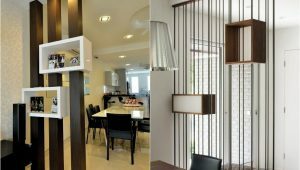 The best part about this idea is that you can use it inside your home. That way, you bring some greenery into your home, giving it a natural touch. Making an artificial pond brings a certain flair to the yard, and fountain ponds are great decorative pieces for that area. And let’s be honest, this pond looks as natural as can be. Let’s finish this list in the same way we started—with a perfect piece of furniture for the backyard, where you can sit and chat with friends. I hope you found some inspiration here, and that you can use some of the ideas I presented. 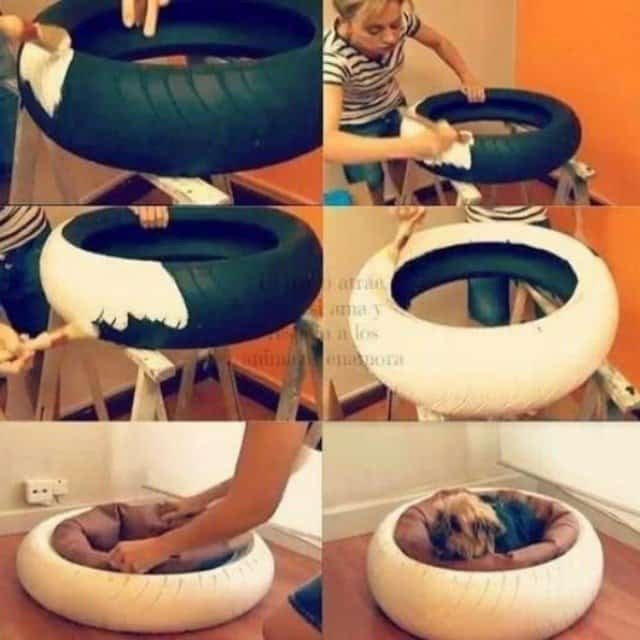 And if you have any other thoughts about how to repurpose car tires, feel free to share with the rest of us in the comments.